← Register for Annual Conference at 2014 Rates! Sherlock Holmes uttered the famous line, “The game is afoot.” in The Adventure of the Abbey Grange. 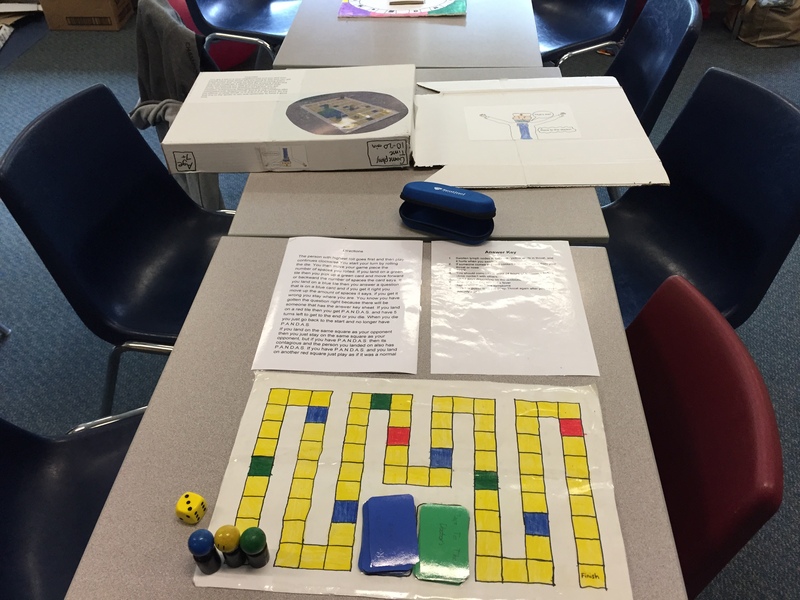 “Games” is a concept everyone understands, and Team Androscoggin students from Mt. Ararat Middle School used it as a way to demonstrate their learning this spring. On June 3rd, Androscoggin Team Students and Parents held a celebration of learning. 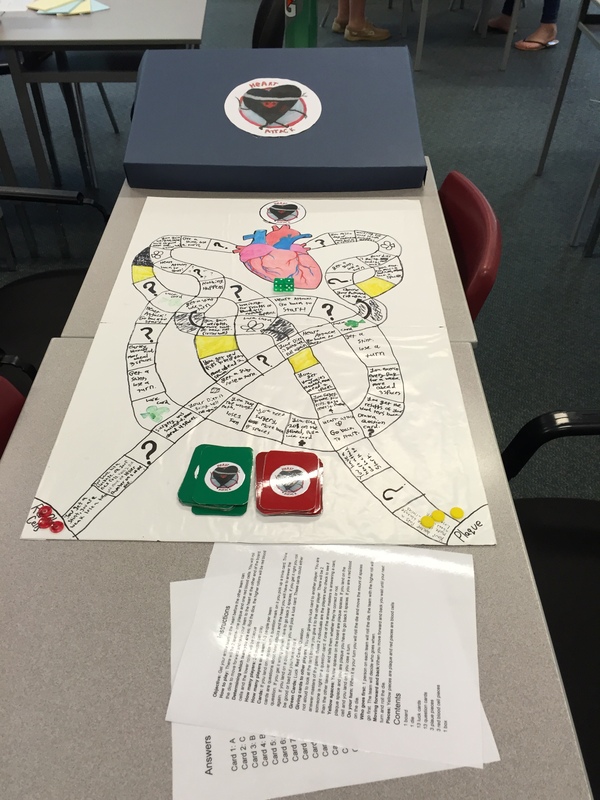 Our students have been working hard writing and publishing companion books to go with the book “The Other Side of the Sky” as well as creating and engineering board games around the topic of disease and the human body. The work that these students have put in and the outcome they’ve accomplished is amazing. In the afternoon students shared with their parents their hard work through an I-Spy challenge and playing board games. The books were a reflection of a large unit on informational writing. Social Studies themes were incorporated through the study of the book and students’ final product included many inserts about Afghanistan and the theme of the book. 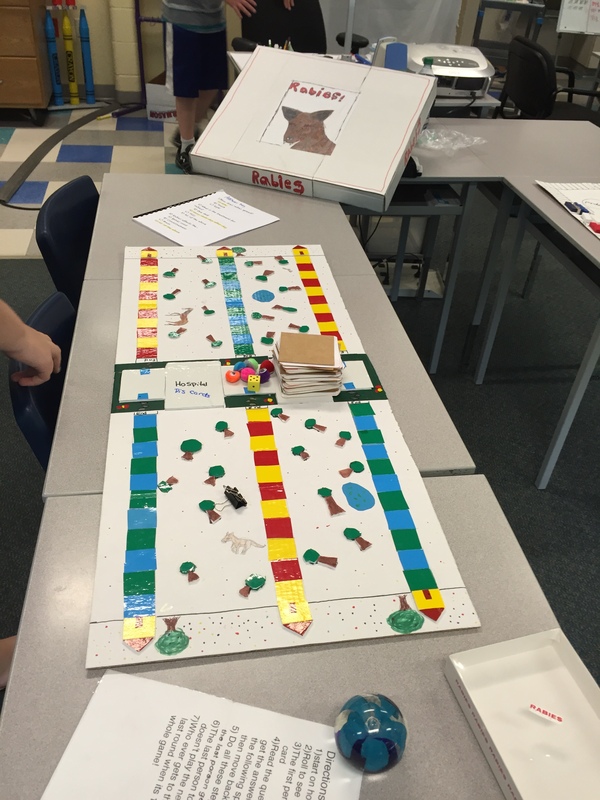 Each game that was created was based around a disease that the students chose. The games had to incorporate not only information about the disease but also be structured to relate to the disease and how it affects the human body. 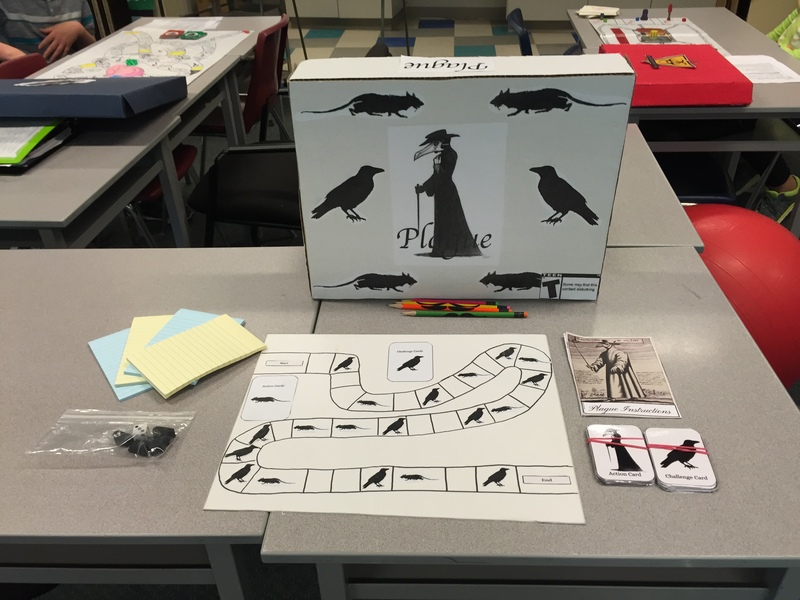 Below is just a sample of our games and books from the event. A Race to the Doctors! 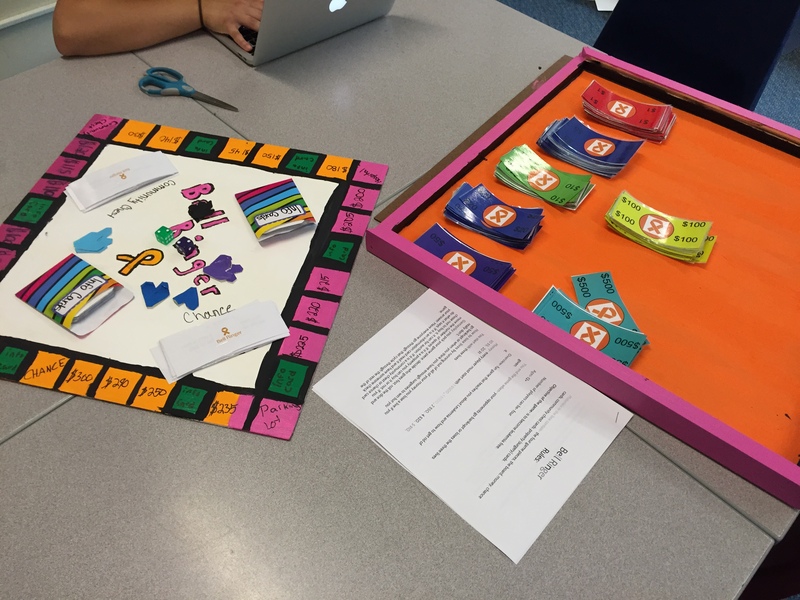 This entry was posted in Curriculum and Instruction, Engaged learning, Good teaching, Instructional Practices, Project learning, Young adolescents and tagged Creating games in the classroom, Mt. Ararat Middle School, Team Androscoggin. Bookmark the permalink. 1 Response to The Game is Afoot at Mt. Ararat MS! This and other highly effective middle level practices can be learned at the MAMLE Annual Conference in October. Sign up NOW!